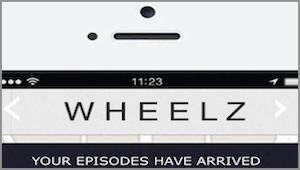 Check out Chelsey in Wheelz, a comedic web series about a tragically underemployed millennial and aspiring actress in LA who drives for a ride-sharing service called Wheelz. This is Chelsey’s first time taking on a show as a writer, producer, and lead! Check it out and subscribe, HERE. More episodes and exciting updates coming soon!